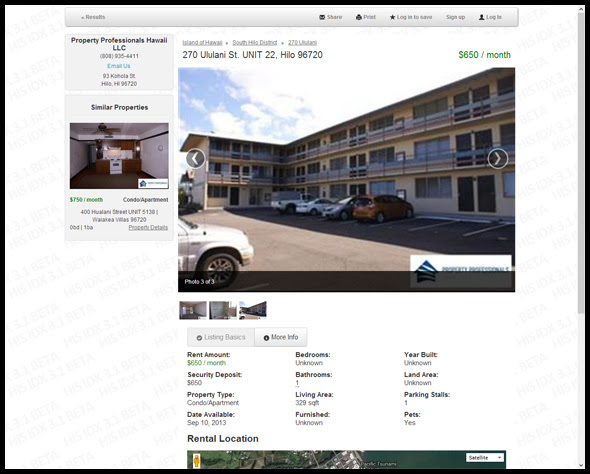 Hawaii Information Service has supported listings for rental properties within its REsearch MLS system for years. We know that many of our members are active property managers, but these rental features are not widely used, and HIS has long been exploring ways to better serve the rental market. We are now preparing to launch two new services to do just that: a public-facing rental property search site, and a Rental IDX service to support rental searches and inventory display on property manager websites. After two years of research and planning and nearly a year of development, HIS is excited to reach this milestone. 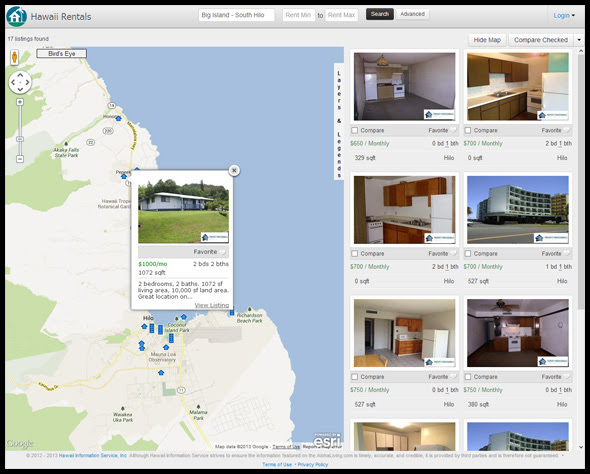 Over the past few months, we have met and worked with some of the largest property management companies on Kauai and Hawaii Island, who have helped beta test these new offerings. You are receiving this message because you have active rental properties in REsearch. Although we eventually plan to convert these rental offerings into new products and services, next week’s soft-launch of our rental property search site and rental IDX will include your currently active rental properties at no additional cost. Of course, there will be very limited inventory in the system at first, and we are still working hard to bring additional property management firms into the fold, including our neighbors on Oahu. It is our hope that this early proof-of-concept will demonstrate the benefits of a rental property system that’s backed up by the credibility of an MLS and features scam-free listings from verified companies. Early in 2014, once we have feedback from a wider range of stakeholders and a richer inventory of rental properties, we will kick off a public launch campaign that will introduce a trustworthy, useful resource for both landlords and renters in Hawaii. If you would like to get some hands-on time with these new rental offerings, we would love to hear from you. And please let us know if you would like us to exclude your listings from this service. This notice is for a one-time import of rental listings, as management and changes will be handled independently of REsearch going forward. If you have other questions, don’t hesitate to contact us at (808) 599-4224, or via email at support@hawaiiinformation.com.